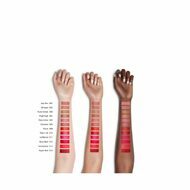 - The ModernMatte Powder Lipstick contains a custom angular bullet that allows anyone to achieve the perfect lip outline in just one stroke. 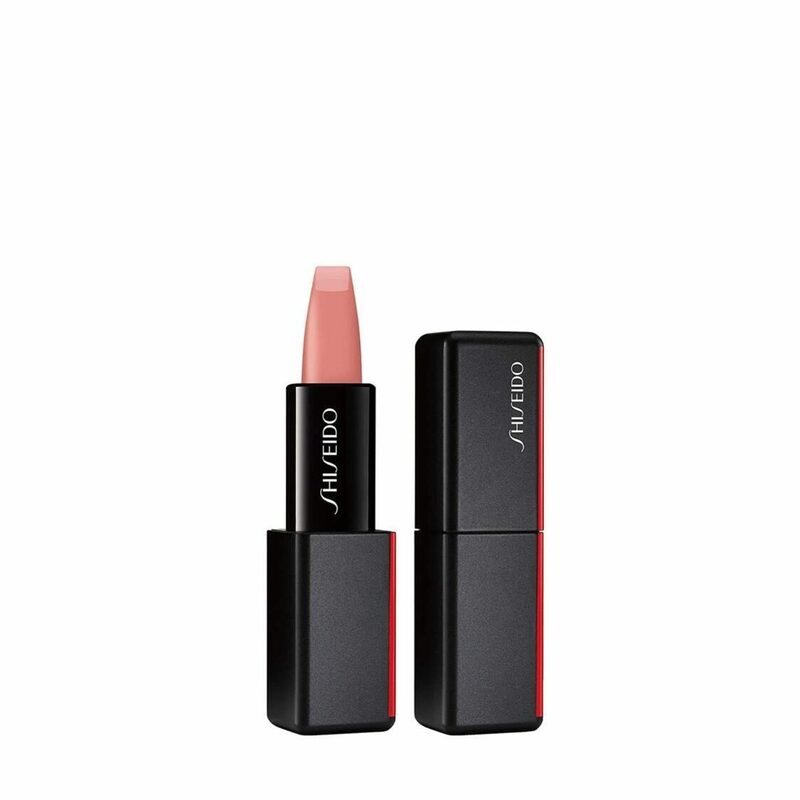 Create a sharp, bold lip without a lip liner with this 12 hour wear product! - Spherical pigments suspended in an ultra-clear silicone base float across the lips, blurring any imperfections and providing spectacular color payoff. 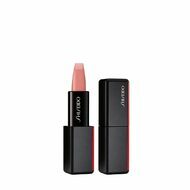 - This formula offers the comfort of a balm, and transforms into an ultra-thin powder that envelops the mouth in creamy, opaque color. The matte finish absorbs light rather than refracting it, lending statement-making shades more richness and depth. J-B EAUTY TIP: Apply straight to lips using the bespoke bullet or use the YANE HAKE Precision Eye Brush for more definition. To add extra emphasis to a bold pout, trace lightly around the edge of lipstick with concealer. Give a matte mouth an instant boost with a quick swipe of Crystal GelGloss or tap Aura Dew Face, Eyes, Lip over top for a glittery finish minus the mess.